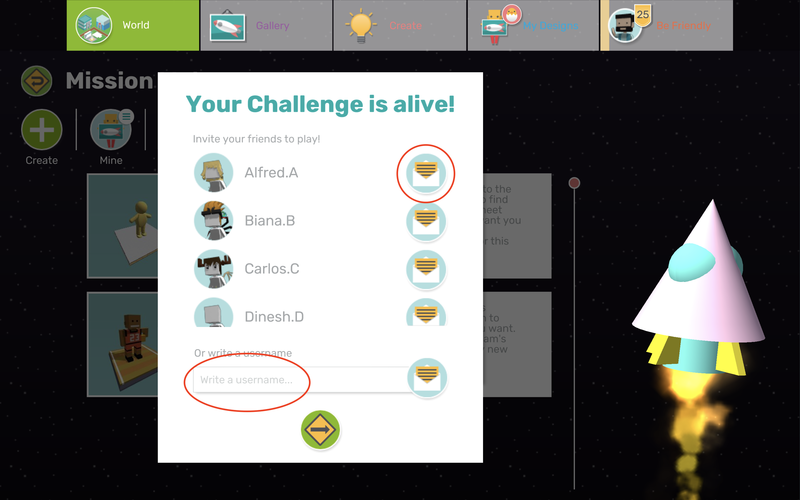 How do I assign missions for my students? Many teachers ask us how to set work for their students using the Makers Empire 3D app. 1. Go to the Mission Maker 'launch pad'. 2. 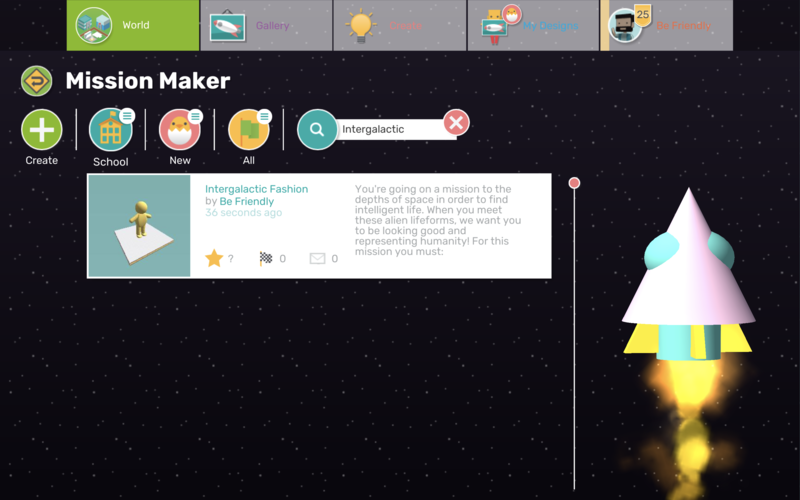 The first time you visit Mission Maker, Rocket Guy will ask you to create a rocket. Click the Go! button. Make a cool rocket and click the FINISH button. 3. On subsequent visits to Mission Maker, Rocket Guy will ask "Do you want launch into challenges, or edit your rocket?" Click the Launch button. 4. 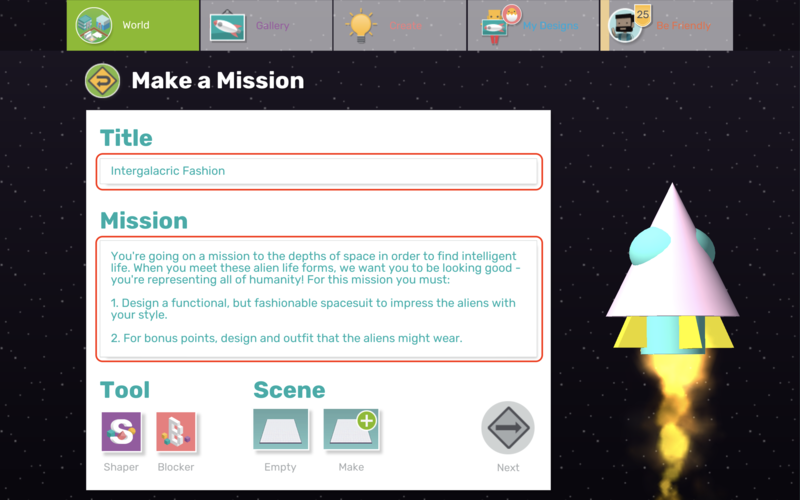 Your rocket will launch into space and you will see the Mission Maker menu. 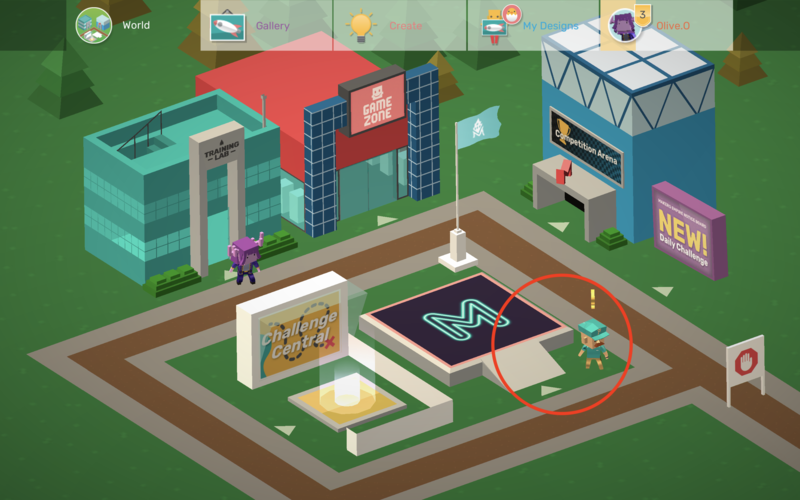 To create a new design mission, click the Create button on the top left. 5. Give your mission a distinctive title* (really important) and a description. The description should be a simple design / mission brief. 7.1. Select whether or not you want your mission to include a starting Scene. A Scene is any design which the mission creator makes as a template or starting point for the mission. 7.2. If you select to use a Scene, you'll also need to select whether or not you want to Lock Scene? If you select Lock Scene (tick) your Scene will not be editable. If you deselect Lock Scene your Scene will be editable. 8. Click Next. Your mission is now live! B. You can invite specific users entering their username in the text box. 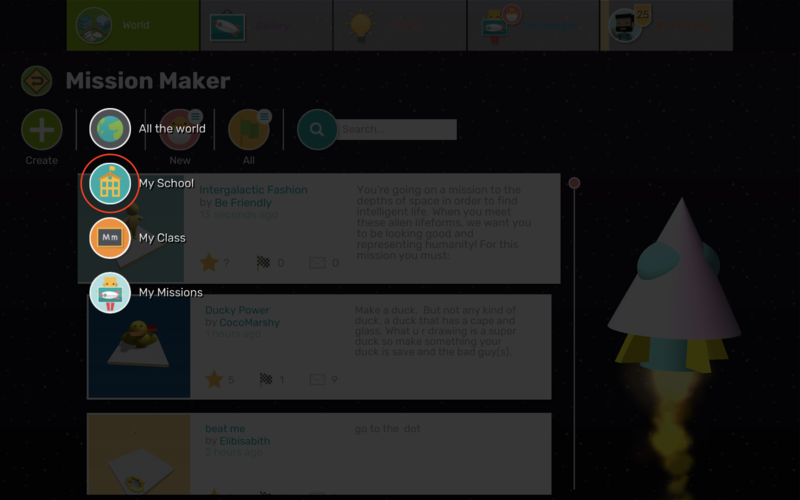 If your students miss, or ignore, the invite, you can direct them to go to Mission Maker and search for your mission by title in the search bar anytime. You can refine the search by filtering missions by My School only.